There’s no let up in the schedule, so here’s all your community advice for the Gameweek 21 captain decision. I’ve got seven Gameweek 21 Captain selections in my latest article for FPL Bet. My Clueless husband attempts to annoy me as the gap in the mini league closes. Salah edges the armband selection over Morata in the Fantasy Football Pundits poll. Nearly 6000 managers have voted to give their decision. Your Gameweek 2️⃣1️⃣ fantasy captain is? 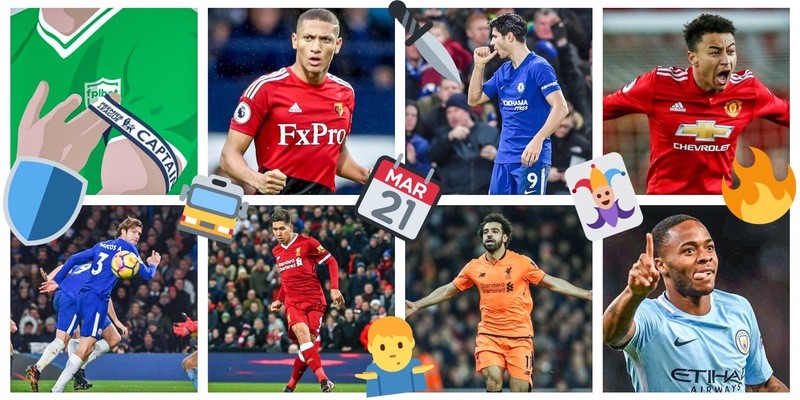 FPL Connect have a trio of differential options for those of you who are chasing in mini leagues. Chelsea options are popular, not least due to the fact that their opponents Stoke are struggling with many defensive injuries. Defensive problems mount for Stoke. "We are missing a few," said Hughes. The community have shared their armband thoughts on Twitter. Morata has scored one PL hat-trick which was against Stoke. 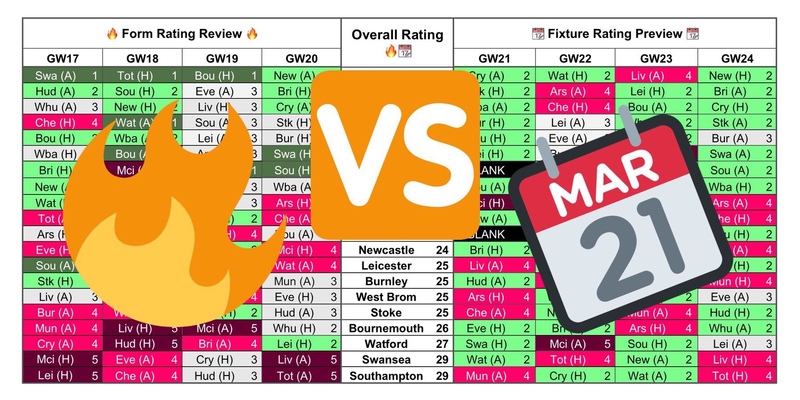 While you’re here, don’t forget to check out the Form Vs Fixture Charts for Gameweek 21.